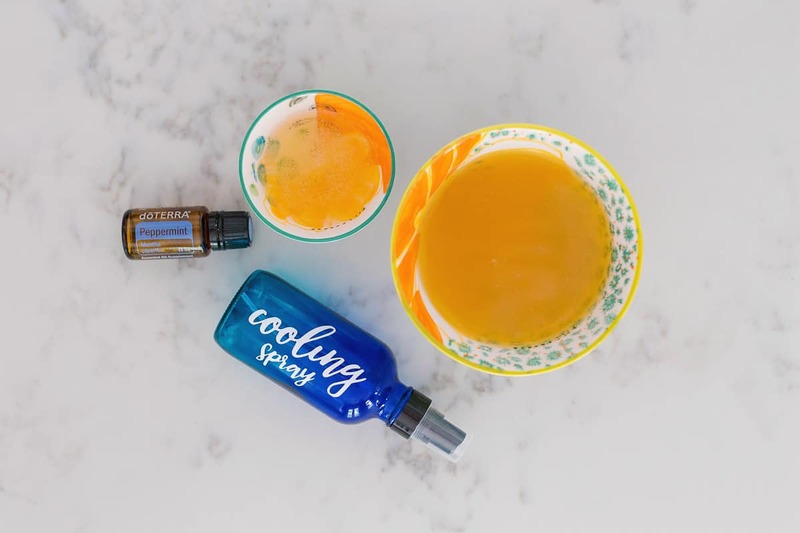 This Peppermint Green Tea Cooling Spray is like having a portable air conditioner. Perfect to take on vacations or when you are out having fun in the hot summer sun and need a quick cool down. There are so many wonderful things about summertime, but the extreme heat is not one of them. Getting too much sun can leave your skin burnt, dry, and painful. This Peppermint Green Tea Cooling Spray will instantly help to cool down, moisturize, and rehydrate your skin. This is a must-have during trips out in the sun. Green Tea: Green tea is soothing and cooling to the skin. Plus, it has polyphenols which can help delay signs of sun damage and aging. Aloe Vera Gel: Aloe vera is healing and anti-inflammatory to the skin. It can be used to help nourish and enhance the beauty of your face, skin, hair and more. Plus, it is the perfect remedy for sunburned skin. 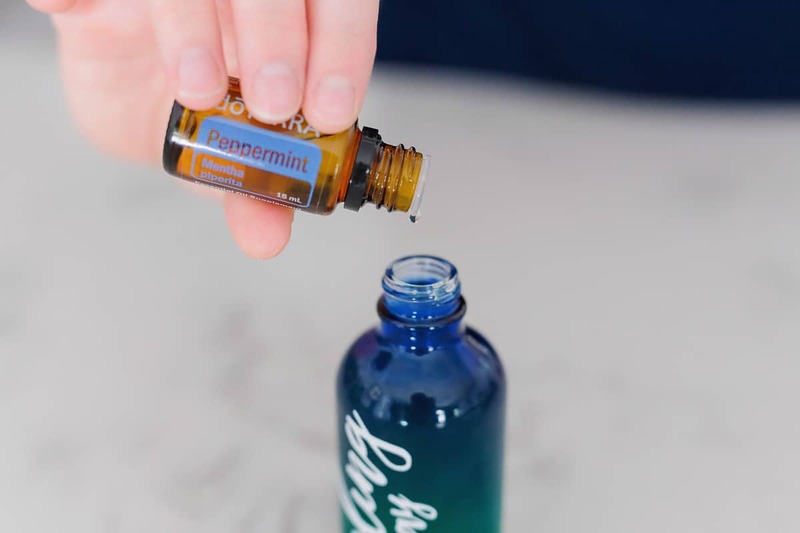 Peppermint Essential Oil: Peppermint is extremely cooling and refreshing when applied topically to the skin. 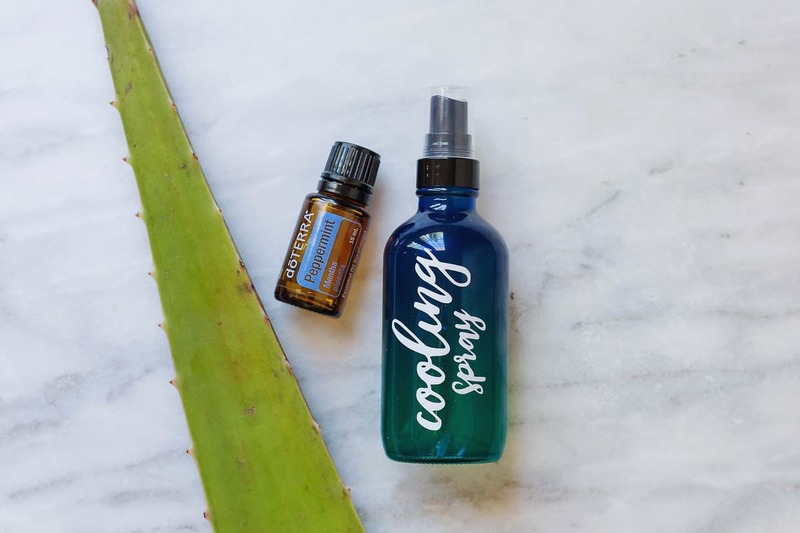 Plus, the aroma is uplifting, minty, and energizing. Just be careful not to get this in your eyes! 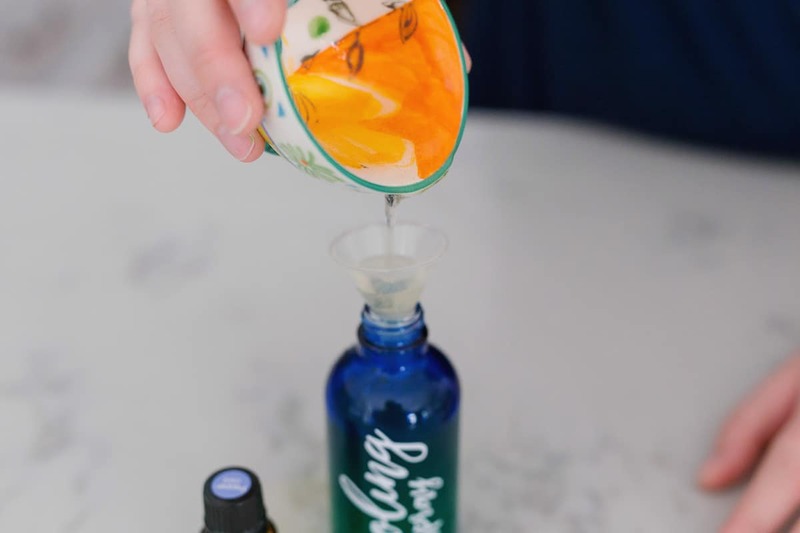 If you accidently get essential oils in your eyes, quickly remove with Fractionated Coconut Oil or Olive Oil. Note: If you do have a sunburn, feel free to add 10 drops of Lavender essential oil to help calm and nurture your skin. 1. 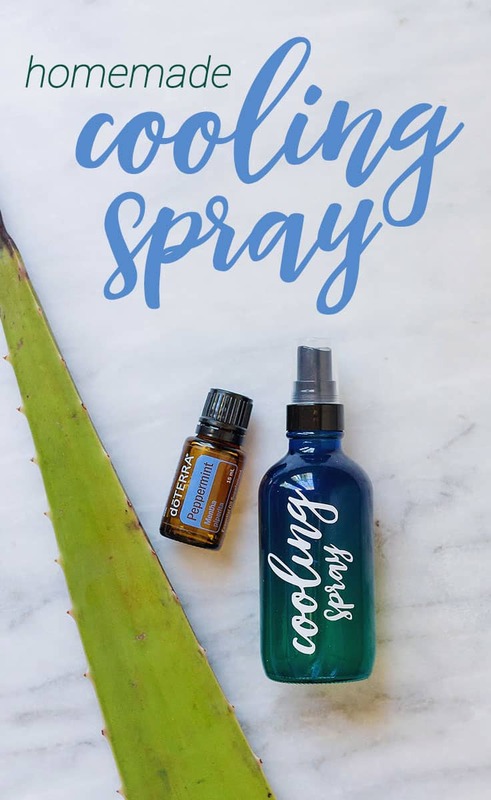 In an 8-ounce glass spray bottle, add all ingredients. Shake until well combined. 2. To use, simply spray on exposed skin when in the hot sun. This spray will last for one week when stored in the fridge. For a longer shelf life, use plain water instead of green tea. Does it make a difference if it is stored in plastic spray bottles vs. glass? Can you tell me where you got the bottles? Where can you get the 16 oz glass spray bottles?? Does it have to be the actual aloe from the plant?